Well, what a story Leicester have been this season. What a story! 5000-1 to win the league at the beginning of the season…and they only went and did it! Some fans will be counting the noughts on their bank accounts this week as they celebrate the remarkable achievement. Let’s just hope they stick a bit of it into a savings account. That really would result in a real reward down the line. Just think of all the compound interest! All the Leicester players will be in for a big pay rise this summer, and no one deserves it more than Kasper Schmeichel. 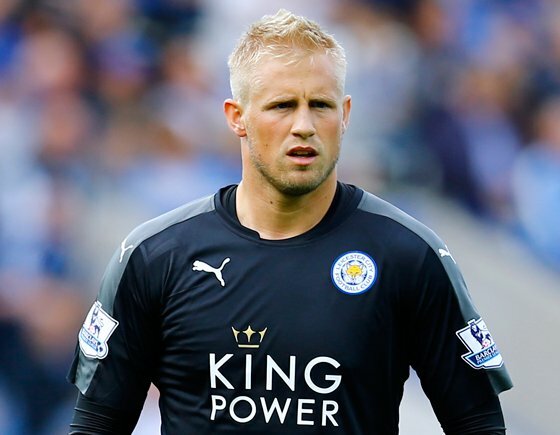 Although it was Spurs’ faltering that gifted Leicester the title, Schmeichel put in a man-of-the-match performance at the weekend against Man United. The big Dane made five saves to thwart the United attack and give Leicester what turned out to be a crucial point. His goalkeeping this season has helped the Foxes immensely. They would be sitting fifth if it weren’t for his heroics. Aye, Bob Friendly raises a glass to him, Claudio Ranieri and the rest of the Leicester team for a fantastic achievement! Here at Scottish Friendly we thought we would highlight just how important keepers are to a team, after all they are savers in their own right! We imagine each game without keepers and take the number of shots on target by each team as the result. By looking at it this way, we can see which goalies have been busy winning their team points, while also finding out which ones are holding their team back.